Premium Bandai has put up a preview page for the next entry in the Complete Selection Modification collector series! *A deluxe set, which includes the Buckle, Absorber & Blade’s signature weapon- the BlayRouzer. 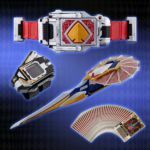 Price & release details have not been confirmed at time of writing, but the CSM Blay Buckle will be officially revealed on January 25th 2019– which happens to be the FIFTEENTH ANNIVERSARY of Kamen Rider Blade! 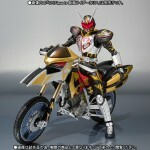 Stay tuned to TokuNation for further details on this exciting release. 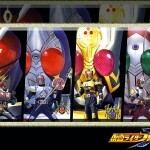 Kamen Rider Blade is returning with a new Drama CD set to be released next year. The new audio CD is a brand new epilogue story set days after the last episode starting off with Hajime in a coffee shop taking about his memories and Kenzaki. Second will be about Kenzaki’s encounter at a repair shop while traveling on his bike. Four of the original actors will be returning to reprise their roles in voice form, plus a new character played by voice actor Suzumura Keiichi. The Kamen Rider Blade Drama CD will be released January 23rd 2015 for 3000 yen, a version released exclusively through animate-onlineshop.jp will have a bonus CD which will include talks with the cast and Suzumura himself. 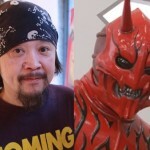 Another S.H.Figuarts release for Kamen Rider blade has been announced. 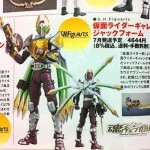 In the latest wave of Figureoh magazine scans, Garren Jack Form was teased. 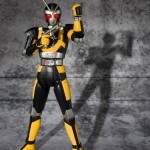 Figuarts Garren Jack form is a confirmed Web Exclusive coming out this July, he retails for 4536 yen.